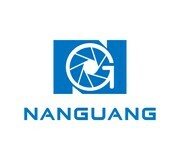 NanGuang CN-600CSA, adopt 600 professional LED bulbs, Ra:95 , standard color temperature 3200K-5600K . It’s a portable studio light. Suitable for studio, TV station, micro film, AD and wedding photography. 1.Adopt selected high brightness and flicker free LED bulbs, high CRI 95, bi-color 3200K-5600K. 2.High quality ABS housing, light weight and durable, with groove design at back to be easy handheld and portable to carry out. 4.With digital display screen, and built-in 2.4G receiver, can be easily control by 2.4G remote controller and smartphone APP. 5.Multiple power supply available: 100-240V, 14.8V DC, Sony V-mount battery, Panasonic/Anton battery, Sony NP-F, NP-FH, NP-FM battery.